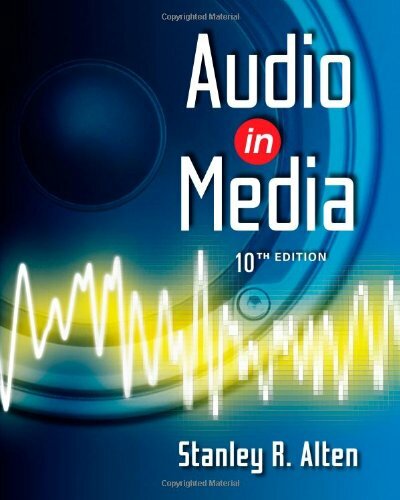 113330723X -In AUDIO IN MEDIA, Tenth Edition, Stanley Alten — internationally recognized as a scholar and expert in the area of audio production — continues to provide students with an introduction to the basic techniques and principles necessary for audio production in today’s media. The clear, current illustrations and photos and student-friendly writing in Alten’s market-leading text have helped professors effectively teach this technically based course to thousands of introductory audio-production students. Comprehensive, technically accurate, and up-to-date, the text covers informational, perceptual, and aesthetic aspects of sound as they apply to each stage of the production process, from planning to postproduction.